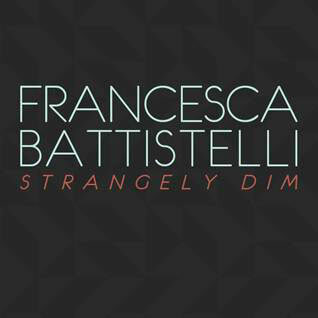 FRANCESCA BATTISTELLI'S NEW SINGLE "STRANGELY DIM,"
Nashville, TN - (February 5, 2013) - 2011 Dove Awards' "Artist of the Year," Francesca Battistelli, released her brand new single, "Strangely Dim," from her Hundred More Years Deluxe Edition album today to iTunes. Written by Battistelli, Seth Mosely and Mia Fields, the track features inspiring lyrics fused with her distinctive pop/soul sound. The full album, featuring "Strangely Dim" and four additional new songs, will be made available for purchase on March 12. On March 7, the second leg of her "Hundred More Years Tour" commences in Toronto with special guests The Afters and Kyle Sherman. Produced by Ian Eskelin and Seth Mosely, "Strangely Dim" has already made a huge splash at radio with 47 first week radio adds. "I love this song because it reminds me daily that God is the source of my peace, and even when things are chaotic all around me, He is in control," commented Battistelli. "Yielding our lives and our desire for control to Him brings a peace that makes our doubts and fear fade away." She is giving her fans an opportunity to listen to the full track on her website at www.francescamusic.com. Since her debut in 2008, Francesca Battistelli has earned a Grammy nomination (Best Gospel Performance), six Dove Awards including 2011 "Artist of the Year" and 19 Dove Award nominations. Both her debut album, My Paper Heart (which was certified gold this past summer), and her 2011 sophomore release, Hundred More Years, took the No. 1 spot on Billboard's Christian Album chart. With over 700,000 in album sales to date, she is the best-selling new artist in the genre in the past eight years. Her music has also been featured on TLC's Jon & Kate Plus 8, ABC's Extreme Makeover: Home Edition, NBC's The Biggest Loser, Fox's So You Think You Can Dance, and several other television and movie outlets.